WISA Divisions are networks of professionals that cater for the specific needs and requirements of specialised areas of water management. The YWP network is one division of WISA, but there are many others, which can be found HERE. Some of the Divisions also have affiliated groups / sub-groups. To provide a forum for, and communication channel between, interested and associated groups and individuals from public authorities, water authorities, industry, suppliers, consultants, development, organisations and research organisations. ​To initiate and organise, or participate in open meetings, technical visits, workshops and conferences for the transfer and advancement of technology and information dissemination. To encourage advise on or initiate, and if appropriate participate, in training and educational courses. To develop, make available or be able to refer to relevant publications, manuals, guidelines, handbooks and software and, if appropriate, to publish a newsletter. To identify research needs and encourage the undertaking of research into current problems. What do the Divisions do? Each WISA Division runs its own programme of events and initiatives to serve its particular focus. Depending on membership, there are varying levels of activity and engagement across the country. 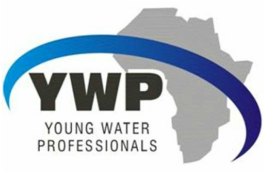 As a YWP, engaging with a WISA Division is an excellent way to connect with experienced water professionals in a range of specialisations across the sector. The Divisions give us the opportunity to come together around topics that are of particular interest to us, and to build a strong professional network with people of a similar professional focus. Check out the list of active Divisions, and find out what they are up to in your area. Join their events or consider getting involved with the committees.